If you need storm damage restoration services for your home in Nebraska, turn to Waddle Exteriors. 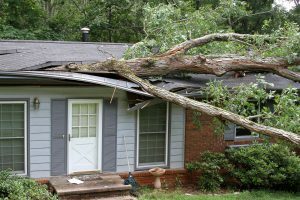 The strong storms we see throughout the seasons have the potential to cause a wide range of damages to your home. No matter if you’re dealing with hail damage, water damage, wind damage, fire damage, or any other type of problem, we’re here to help. We own modern pricing software used by insurance companies and have the experts on staff needed to provide accurate quotes for insurance claims. We’ll also work with you in communicating with your insurance company to make sure everything goes smoothly and that the necessary work is being done to get your home back to normal as quickly as possible. Our goal is to assist you in every way possible, and we’ve built a strong reputation throughout the state for the high level of customer service we provide. Once we’ve addressed the immediate requirements of your home, we’ll teach you about the various products we offer and guide you towards making decisions that are best for you and your budget. And to ensure the work we do is protected, we offer warranties on the materials we install and the labor we provide. For more information about the storm damage restoration services we can provide for your residence in NE, contact Waddle Exteriors today.